100% privacy, with a breathtaking 270° degree view on the ocean, this is Domingue ! 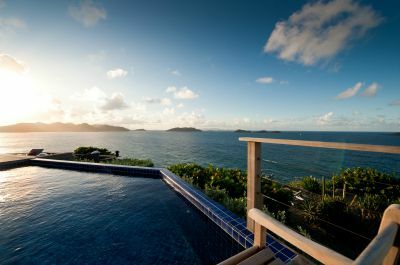 Our villa sleeps up to 8 people (4 bedrooms + 4 baths) in the peaceful and upscale area of Pointe Milou in St Barts. Create lifelong memories with your close ones in our villa. Imagine yourself praticing yoga all alone on the deck early morning, 100 feet above the sea. Or enjoy the beautiful sunset on the St Jean bay with friends and a couple of nice cocktails. After coming back from the stores (a 15-minutre drive), cook a great French meal in the fully equiped kitchen. Enjoy the classy bedrooms or just chitchat in the very comfortable lounge sofa.